The year is winding down and our thoughts turn to the upcoming family reunions that often accompany the winter holidays. These are a few of our favorite picture books that put the reader inside the warm and loving embrace of a family. We’ll be reading these at our storytimes this week. What picture book reminds you of your family? These books, and many more, are available at the Handley Regional Library. 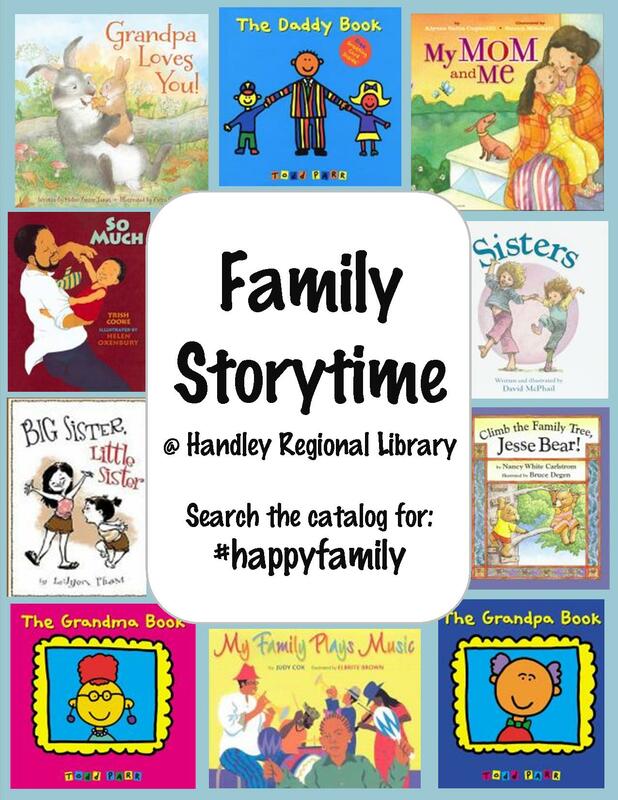 You can find the books listed here in the HRL catalog under the tag: #happyfamily. My Mama likes bouncin’ me up and down. My Papa likes swingin’ me side to side. Side to side, side to side. My grandma likes givin’ me great big hugs. Great big hugs, great big hugs. But Uncle John rode on and on. Previous Giving Thanks at Storytime!